They’re knights without sponsors, they need your subscription. "Chatting about music on a Goldsmith Odyssey." Odyssey, Odyssey, how long will you run? Odyssey, Odyssey, here’s the next one. Plus a single bonus cue from an Elvis movie. The Work: Have Gun—Will Travel Season 4 Vol. 1 at Amazon, Twilight Time's release of Flaming Star. 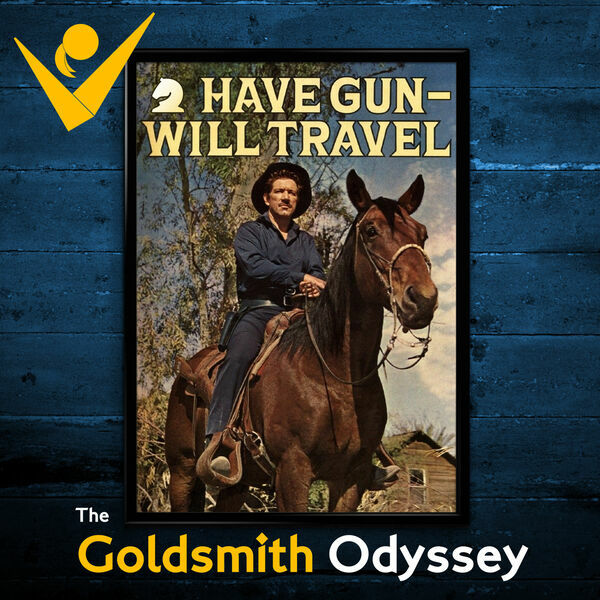 Please send your correspondence to mail@goldsmithodyssey.com.